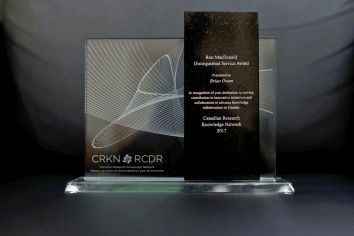 Ottawa – September 14, 2017 – The Canadian Research Knowledge Network (CRKN) is pleased to announce Brian Owen as the recipient of the 2017 Ron MacDonald Distinguished Service Award. The award will be presented on October 19, 2017 in Montreal, Quebec as part of CRKN’s annual general meeting. Mr. Owen is Associate Dean of Libraries for Library Technology and Special Collections at Simon Fraser University and, since 2005, Managing Director of the Public Knowledge Project (PKP). 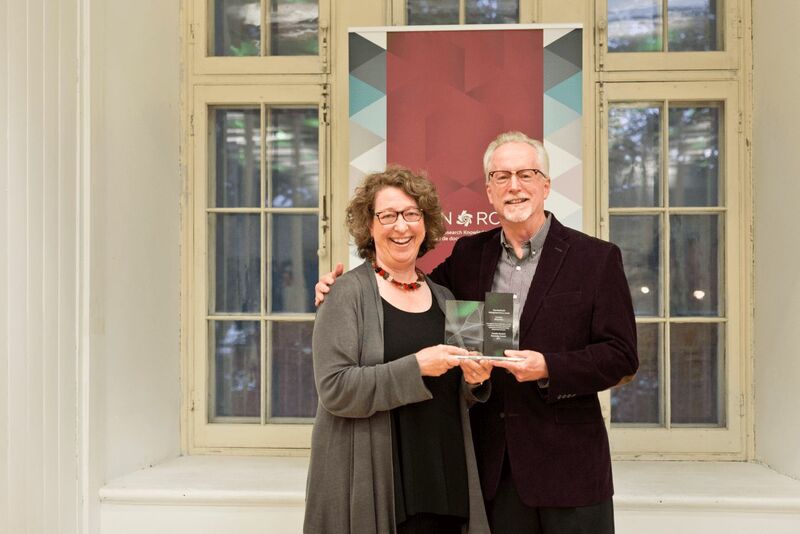 A past recipient of the CARL Award for Distinguished Service to Research Librarianship, Mr. Owen’s ongoing contribution to research librarianship is reflected in his commitment to Canadian scholarly communication. For more than 20 years, Mr. Owen has tirelessly worked to develop and strengthen the Canadian research framework. 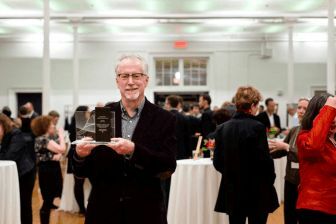 Along with John Willinsky, the founder of the Public Knowledge Project, Mr. Owen has played a key role in the development and ongoing support for PKP’s open source software such as Open Journals System (OJS), now used by more than 10,000 international journals, with over 300 library-hosted journals in Canada alone. 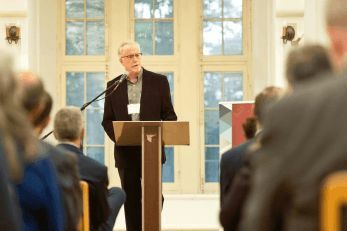 Mr. Owen also played a leadership role in the Synergies Project, developing an online publishing platform allowing Canadian scholarly journals to transition to the digital publishing environment. Mr. Owen has contributed to CRKN throughout his career. 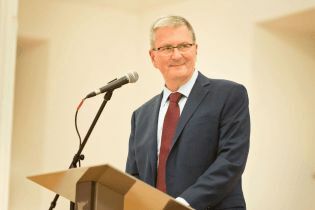 From 1999 to 2006, he served on the Negotiations Resource Team, negotiating agreements with key electronic resource providers and contributing to the development of the original CRKN model license. In 2007, he prepared a CRKN Issues Paper on Alternative Publishing Models that explored the rise of new publishing models associated with open access and their implications for CRKN’s activities. He also acted as Chair of the CARL-CRKN Joint Open Access Working Group from 2011-2012, recommending strategies to integrate open access principles into content agreements. More recently, he has been working closely with CRKN and Érudit on ways to expand the national content coverage of Canadian scholarly journals included in the current CRKN and Érudit partnership agreement. Brian Owen is also a member of the CARL Portage Advisory Committee and currently serves on CARL’s Advancing Research Committee. 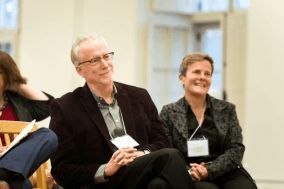 He is involved with INKE (Implementing New Knowledge Environments) and a member of the Canadian Federation for the Humanities and Social Sciences’ Research Dissemination Group and until recently was a member of the Society for Scholarly Publishing’s Organizational collaboration Committee. 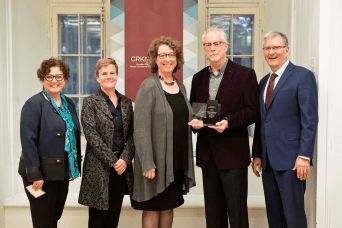 On behalf of the CRKN Board of Directors, we congratulate Brian Owen on his many achievements in his career to date and on his ongoing dedication to scholarly communication in Canada.